The Internet is home to many an artist and I hate to break it to everyone but they’re really good. If it isn’t the people who have figured out a way to make koozies for their Switch docks so they don’t scratch the screen when they insert them( even if you don’t scratch it, they look pretty cool) it's people who make custom Amiibo and other custom items. I think I’ve set the mood enough for an artist who usually fashions cosplay gear decided to dabble in modifying the Switch Joy-Con controller. 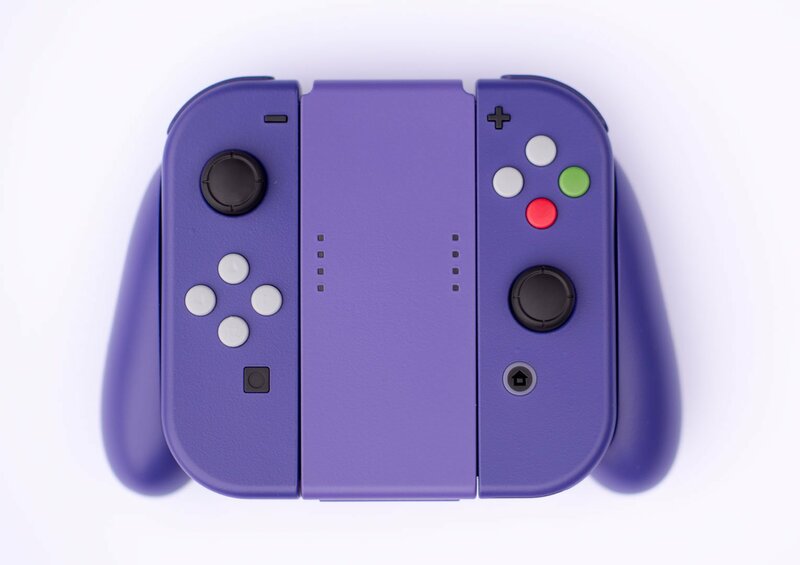 Bossfightprops didn’t just throw a coat of paint on the Nintendo Switch Joy-Con controllers/Comfort Grips; he went the extra mile and decided to give them the Nintendo GameCube paint job. This looks fantastic and it screams classic Nintendo. I could see my dorm mates and myself in college getting four of these and playing Mario Kart: Double Dash for hours on end! Nintendo should take a page from Bossfightprops and start making things like this and give us the Super Mario Sunshine sequel we deserve if we’re talking about going back to the GameCube days!